One of the risks of driving a car is that you may be involved in a car accident, so it's essential to prepared. Thousands of collisions occur on Irish roads every year. They can occur from something as simple as backing out of your own driveway to a more serious high-speed crash on a motorway. Despite this, we as drivers are still unaware of the steps we should take if we are involved in a car accident. At New Ireland Motors, we are always at the other end of the phone should you experience a car accident. Today we’re giving you the 5 things you should always remember to do if you’re involved in a collision. Do a quick assessment of yourself, any passengers, and those in any other vehicles involved. If you suspect someone has been injured, take care not to move them as this could cause more damage. Saying this, you should always ensure that any injured person is comfortable and out of further harm’s way. If you believe there are any injuries, be sure to contact emergency services as soon as possible. Hazards are essential, especially if it’s dark or there is poor visibility. This will warn oncoming traffic of the hazard ahead and prevent any further accidents. If the collision has caused damage to the vehicle or vehicles only, then ensure you call the guards who will attend the site and create a formal report. This can be essential should you need to make an insurance claim. If there is a potential injury, then call 999 or 112 so that an ambulance and the gardaí can attend the scene of the accident. 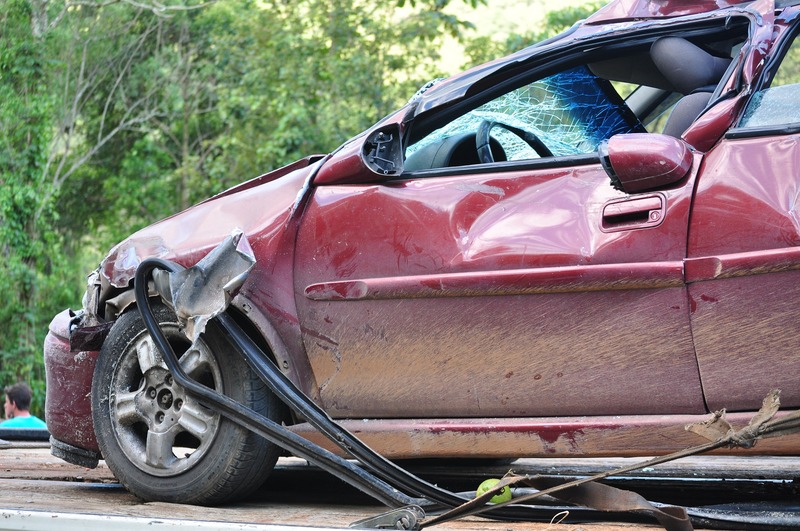 You should contact your insurance company as soon as possible to make a record of the accident. Do this even if you’re not sure if you’ll need to make a claim or not. Make a note of the time, date and location of the accident and the persons involved. You should also ensure to take the insurance details of any other drivers involved, and take photos of any damage done. Your local garage will be able to provide a tow truck service to remove your car from the scene of the accident if necessary. They will also provide estimates for repairs and carry out repair work to ensure your car looks as good as new. At New Ireland Motors, we provide all of the above services and more. We are available to provide advice and guidance should you be involved in a car accident, so never hesitate to contact us! For some great tips on road safety, be sure to check out the RSA’s website.